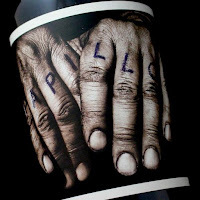 This has always ranked up there with my favorite wines from Orin Swift, an while I think the quality of the Prisoner and other wines from Orin Swift have somewhat dipped a bit, this one seems to still deliver great quality. The 2013 Papillon is a bordeaux blend and100% Napa Valley fruit. It was aged for 16 months in 40% new French oak. In the glass the wine is super deep in color and is very dark and almost black at the core. On the nose the wine expresses black currant, cassis, black licorice, cedar, and rose petal. There is definitely complexity here, but the wine is unabashed as you would expect from a Dave Phinney wine.